My favorite thing about travel is experiencing the cuisine. Who are the best chefs, where can I find the best dishes, how can I experience this country through food? It’s no surprise that one of my favorite DC food events is the Events DC Embassy Chef Challenge, where a Metro card rather than a plane ticket gives me a chance to explore cuisine from more than a dozen countries all at once. This year marked the eleventh annual Embassy Chef Challenge. The event is held at the Ronald Reagan Building and International Trade Center. Every year the decorations get more complex and the food seems to follow suit. Attendees and a panel of guest judges rotate through each country’s station, sampling dishes, and ultimately voting for favorites. 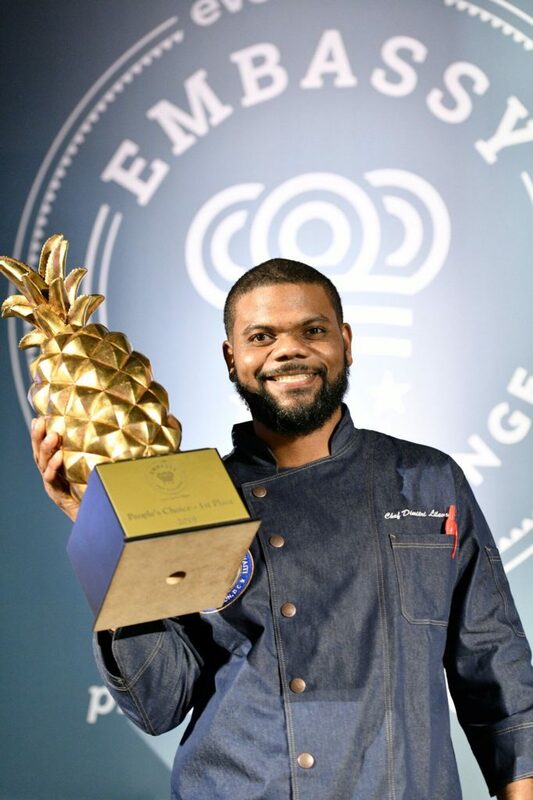 Chef Javon Cummings representing Barbados won the coveted first place “Golden Pineapple” in the Judges’ Choice category presented by TCMA for his guava brûlée pork belly, while Chef Dimitri Lilavois representing Haiti took home first place in the People’s Choice Award for surf and turf pumpkin soup. The competition was tough, but I concur with those choices. 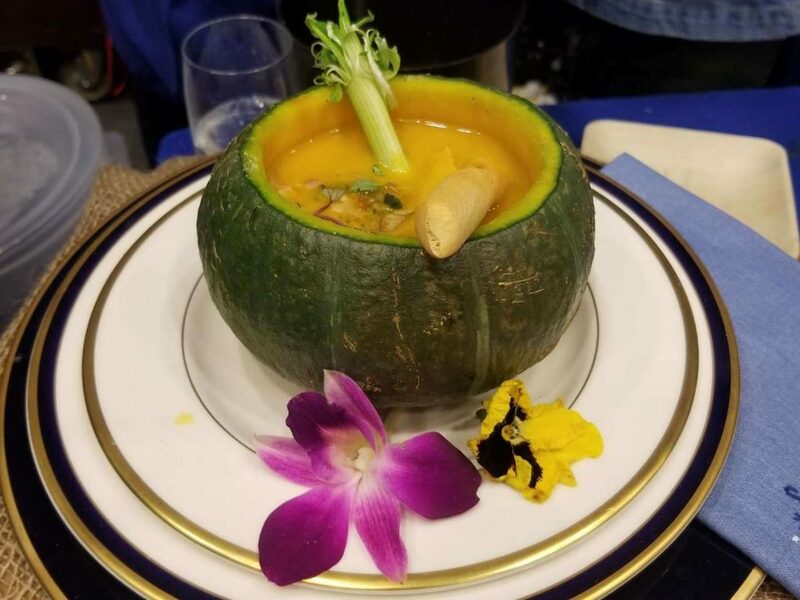 The runners-up as selected by the judges were Chef Anuradha Wijesinghe, Sri Lanka, Milk Rice with Onion Paste and Chicken Curry and Chef Ron Johnson, Bahamas, Lobster and Coconut Soup with a Curry Cracker and Red Pepper Gel. 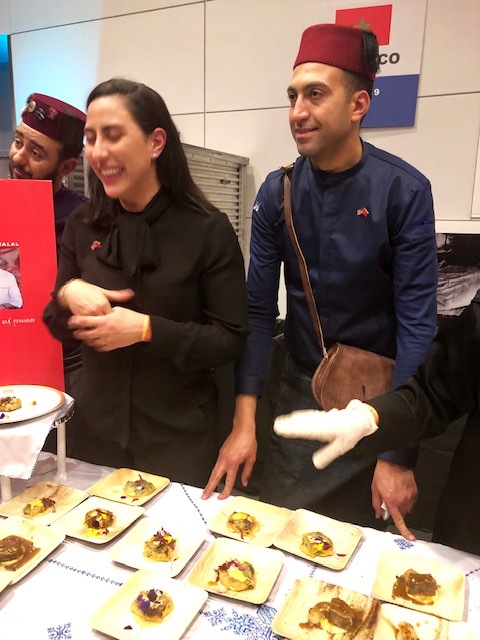 The People’s Choice runners up were Chef Faycal Zahraoui, Morocco, Seafood Pastila with Smoked Potatoes and Chef Dries Molkens, Belgium, 70% Cocoa Chocolate Desserts. 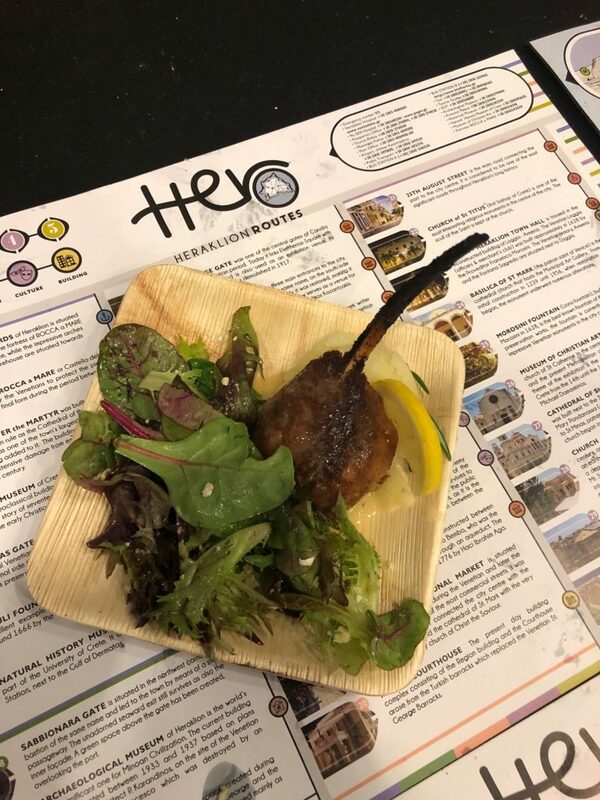 First to run out of food, and a station where attendees could be heard gasping over the deliciousness of the dish was Greece. Chef Vasilike Volioti prepared Greek Stuffed Lamb Chop – lamb stuffed with ground veal, cured ham, and provolone cheese. For a second year in a row, two additional award categories were spotlighted. 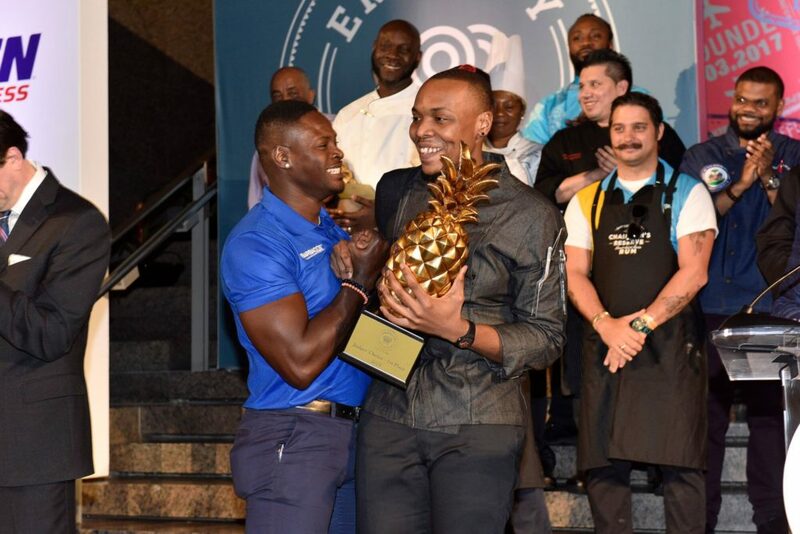 The Best Beverage Award presented by PepsiCo was awarded to Chef Francis Otoo of Ghana for his Ashantie Mule Cocktail and Tebabu Assefa of Ethiopia was named the Macy’s Best Dressed for their cultural display featuring coffee. 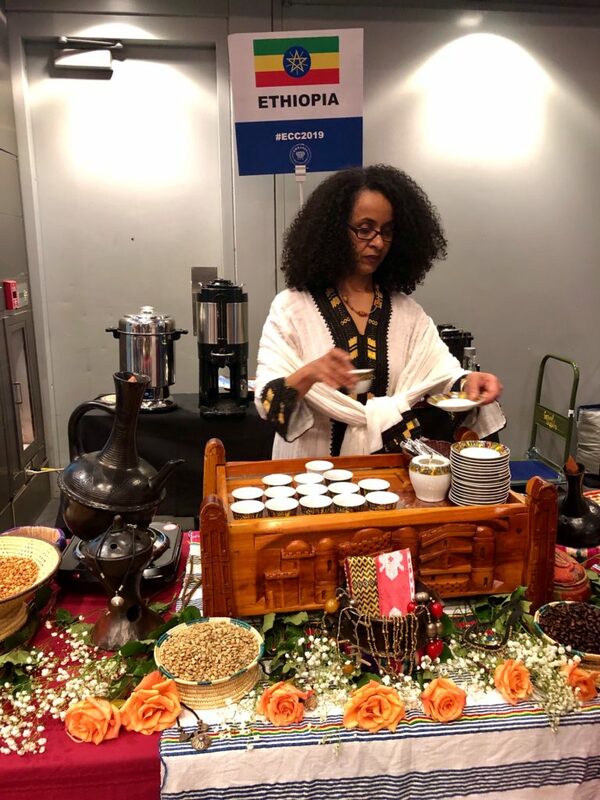 Guests also enjoyed food and drinks from Bolivia, British Virgin Islands, Cameroon, El Salvador, Ethiopia, Georgia, Kenya, Peru, Saint Lucia, Sudan, Tanzania, and Uganda. 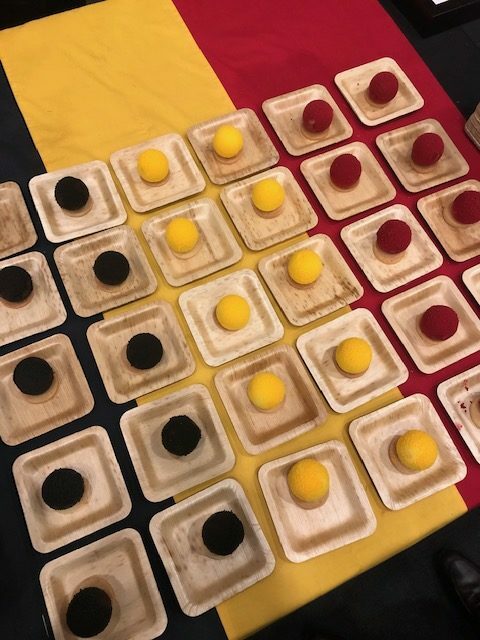 The 2019 Event DC Embassy Chef Challenge was presented by TCMA sponsors include Bubly, Chase, LIFEWTR, Cultural Tourism DC, Macy’s, Prestige Beverage Group, PureLeaf, RCN Business, Stella Artois, TCMA, and Voss.